Unisex jacket for adults (men and women). Full-zipper closure. Cut and sewn inlaids and contrasting piping. Jacket with elasticated hem. Normal fit. 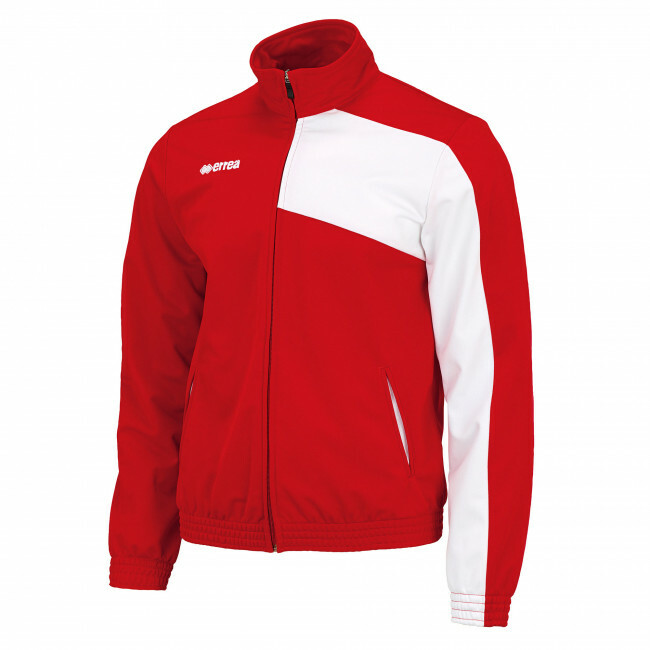 The Erreà Milton jacket gives you a fantastic feeling and great look in all your sporting endeavours. This jacket is made from a soft and breathable fabric, and is perfect for both men and women. You can wear it in your free time, as team uniform or during sports: it adapts perfectly to your shape and keeps the cold out, letting the moisture be wicked away to give you a feeling of extreme comfort. The full-zip closure and elasticated waistband and cuffs guarantee a flawless fit.